He did make it out, which is why we have this marvellous book, one that’s easier to enjoy than it is to summarise. Moor began work on it in 2009, after walking the 2,200-mile Appalachian Trail between Georgia and Maine, a trail dreamed up in the 1920s by Benton MacKaye, a forester and utopian, as “a sanctuary and a refuge from the scramble of every-day worldly commercial life”. In between, he considers the trails made by insects, animals and man, and the purposes to which they have been put, from finding food to building empires. 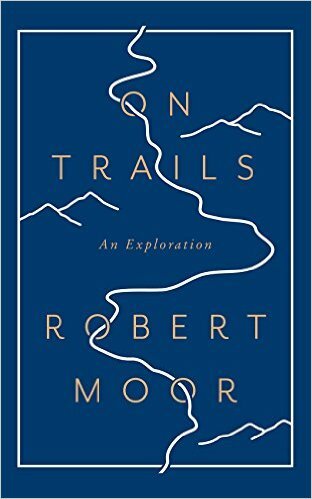 While the Appalachian Trail, which prompted his inquiry, provides a main line, he branches off it in all directions, hiking everywhere from Canada to Morocco and considering the trail as everything from a means of recreation to a metaphor for life. As hikers do, he takes a while to settle into a rhythm. His vocabulary in the prologue (perfused, heliated, myrmecine) is a little off-putting, as is his declaration, after devoting an opening chapter to the Ediacaran, that what they left behind were not really trails but traces (the distinction being that a trace becomes a trail only when it has been followed). Then he gets properly into his stride with a chapter on ants, “the world’s greatest trail-makers”, revealing that ant-colony algorithms — “in which myriad initial routes are explored, the best ones being amplified while the others fade” — have been used to improve everything from Britain’s telecommunications networks to the delivery of disaster relief. He considers, too, the trails of four-legged animals, how they navigate vast territories and how our efforts to hunt, herd and study them have shaped our development as a species. He spent three weeks as a shepherd with a Navajo family in Arizona, and before 10am on the first day managed to lose all their sheep. He spent hours up a tree with an expert tracker and hunter — a man who had shot seven white-tailed deer that season alone — without seeing a kill. He may be an incompetent shepherd, and a bit of a jinx, but he’s a companionable and dependable guide on the trail. His book is big-hearted as well as ambitious. Among the many touching incidents he recounts is one in which a long-distance hiker, about to give up, is lifted by offers of help from those he has met on the way.